Amazon has expanded its renowned Kindle family and “lowered” the price of bestselling 3rd-generation Kindle with the launch of new advertising-supported Kindle with Special Offers, which includes the same features as the $139 highly-popular Kindle, with an extra special offers and sponsored screensavers appear on the Kindle screensaver and on the bottom of the home screen, but will not interrupt your reading. To accompany the launch of Kindle with Special Offers, Amazon also introduced a new, free Kindle app and website dubbed as AdMash, which lets users help pick future screensavers by choosing the screen saver they find most attractive, where screensavers that preferred most by votes qualify to become sponsored screensavers. 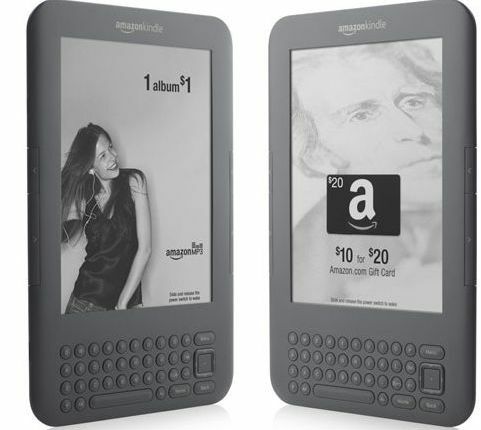 Kindle With Special Offers is now available for pre-order at Amazon.com (aff), and is expected to be available in the United States beginning May 3 for an MSRP of $114.